Little Black Marks: Goodbye 2014, Hello 2015! As 2014 retreats and 2015 stands before us, I thought it was time for a review of 2014 and a look at 2015. I'm quite happy with this year. I'm glad I decided to cut right back on challenges. I no longer felt the pressure that comes with having to read something rather than wanting to. Let's face it, I'm not in school any more, I don't need a prescribed reading list! 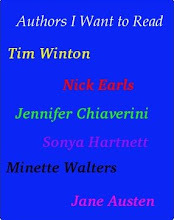 A friend of mine posted this blog post from Erratic Project Junkie . I kind of like the idea of using the tournament of books idea to work out your book of the year. I'm not going to show you a pic of my tournament, as it was done in a hurry and is kind of confusing. Any way, when I did do it, I came down to a choice between Breath and The Ocean at the End of the Lane. It was hard to choose between the two - we all know of my love for Tim Winton, but Neil Gaiman was a new wonder for me in 2014. In the end I had to give it to Gaiman's The Ocean at the End of the Lane. I highly recommend it. I only participated in two challenges this year, one of my own and one from Little White Dove. As you can see I read all of my 5 and enjoyed 4 of them. I completed the challenge on July 17. 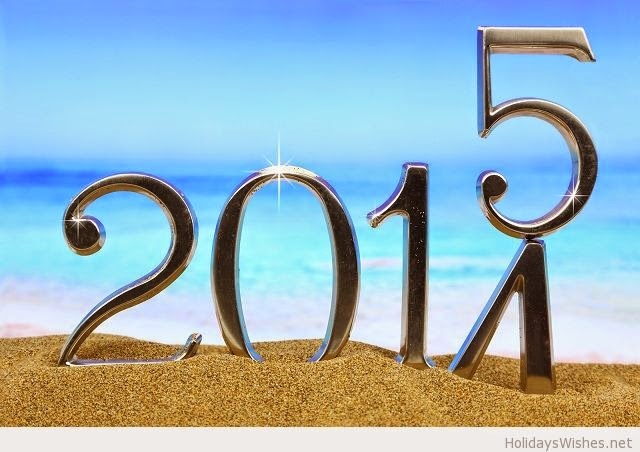 So what does 2015 hold? Again I'm aiming for at least 100 books read. As I've already said, I'm going to roll the Best Book List Challenge over. If Miss Dove comes up with another challenge I'll most probably jump on board. Finally I'm going to see how many I can tick off this list. 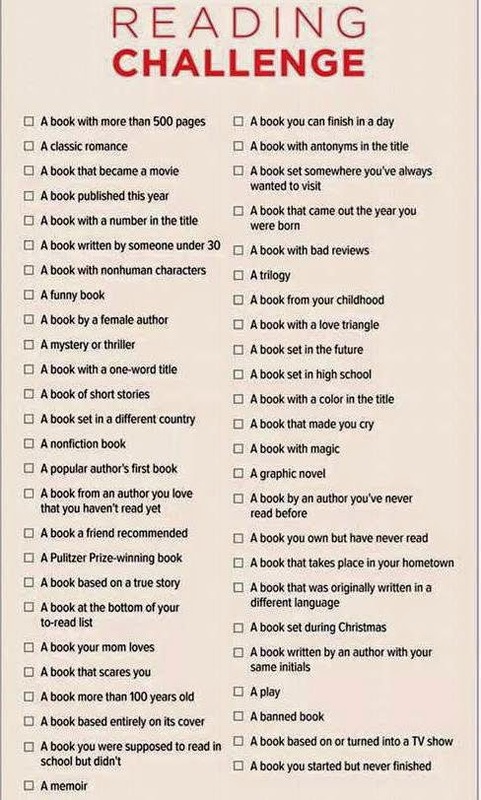 I'm not going to aim to tick every box, but I will be interested to see which boxes I can tick. What about you, what challenges or goals are you setting for yourself this year?